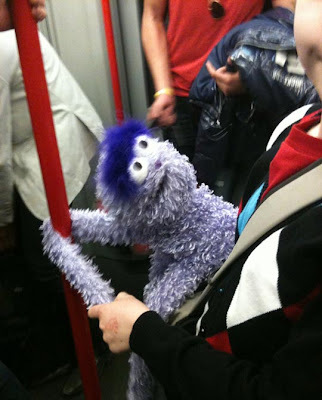 Professor Purple Puppet is a curious little guy with a lot of idiosyncrasies. Since our last trip in Morocco he has earned his doctorate in Purpology. He still needs a lot of guidance from Spud about the ways of the world though. 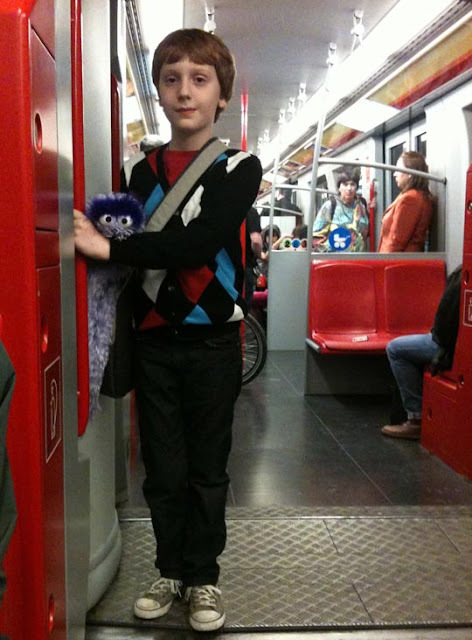 He loves to travel; you can see that he was very excited about coming along to Vienna with us. 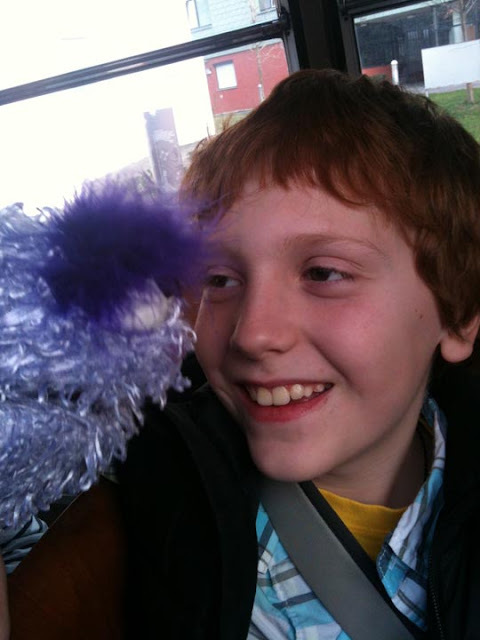 Sometimes Spud and Professor Purple Puppet would argue. 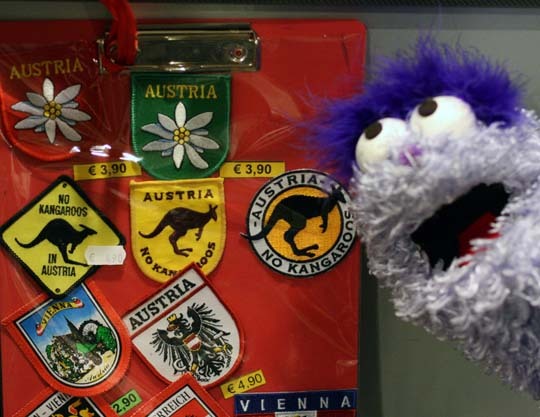 Professor Purple Puppet : "Let's go to the Outback and find the kangaroos!" 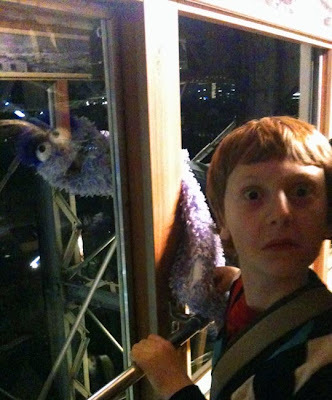 Spud: "Kangaroos are in Australia ..."
Professor Purple Puppet: "Yah, yah, I know, the 'L' is silent, whatever, let's go see some kangaroos!" Then he would start singing "Tie me kangaroo down sport, tie me kangaroo down ...". It was fairly embarrassing actually. They always hug and make up though. 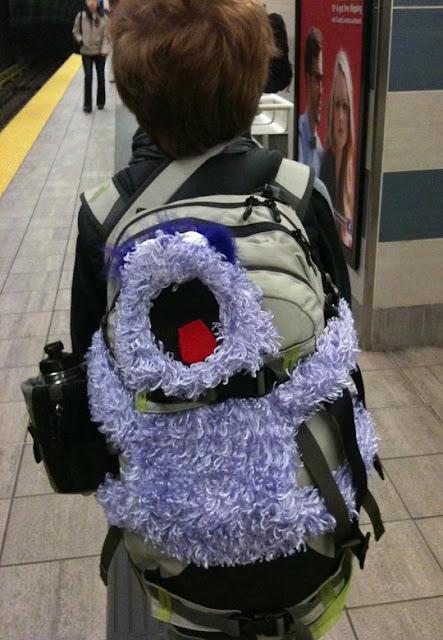 Another good reason to bring along the purple guys is that he is very safety conscious. He insists on hanging on while on the underground, for example. Sometimes he's a little camera shy. And sometimes he's a bit of a daredevil! 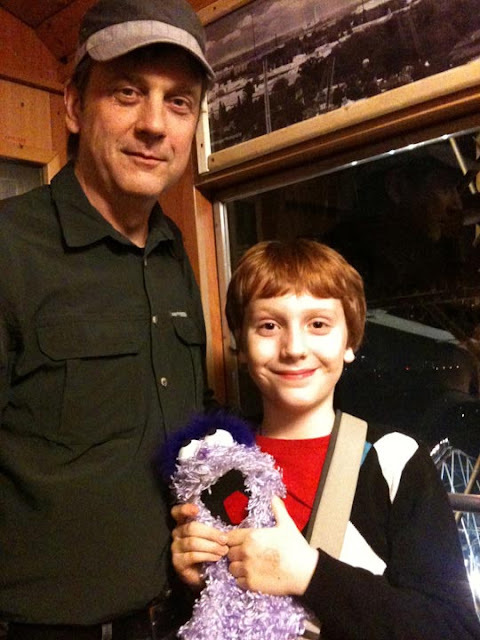 Look at him hanging outside the cabin on the 100 year ferris wheel, the Riesenrad. He really likes chin tickles. In the end, the two of them were very good friends. Whu?! No kangaroos in Austria? How adorable is that? It was like a little gnome journey, thanks for taking us along! Such a cute story! My older daughter had a dog named Pepper that traveled everywhere for years. My younger daughter has a bunny called Sweet Dreams that travels with us but Emma won't take her outside for fear of losing her of her getting dirty - so bunny sees a lot of hotel rooms but doesn't have many adventures! I'll be back to pick your brain about Vienna - it's one of the places I'm considering for next summer (2013). 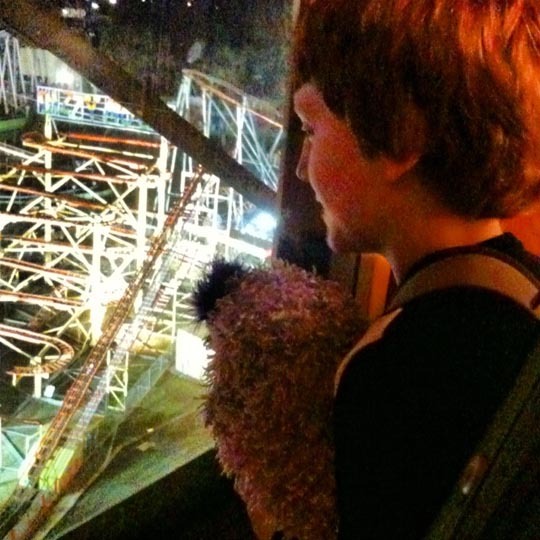 We once left my son's stuffed lamb in a hotel room - a great trip tragedy I'll never forget. 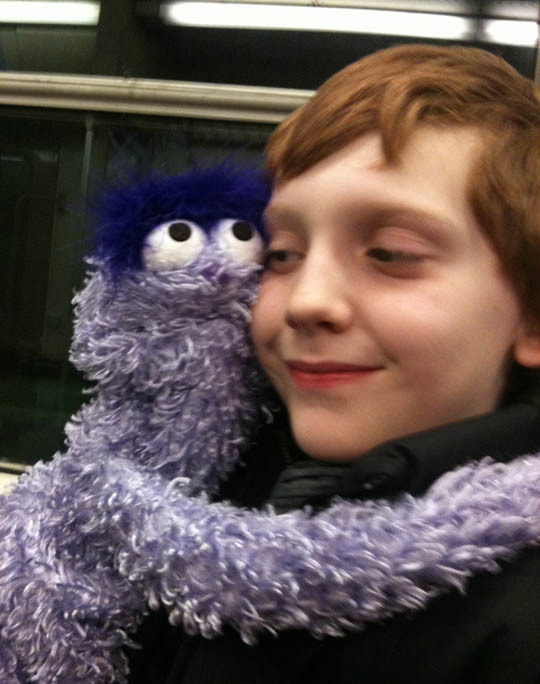 Ok, I have to know where you found Professor Purple Puppet - is he a Muppet?! Hilarious. He kinda looks like a muppet ... but he was a handmade toy that Spud's grandee found. Great travel companion.